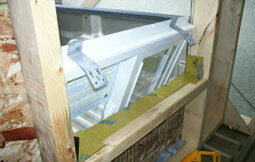 Cuts window installation cost and time by 50% and reduces accidents. No need for scaffolding, ladders or manlifts! - Superior window and sliding door head attachment. - Permits adjustment until siding has been installed. - Permits expansion and contraction of vinyl frames. - Reduce hammer strike damage. - Reduce broken nail flanges. How are windows installed now? Currently windows are secured into position by at least two installers. 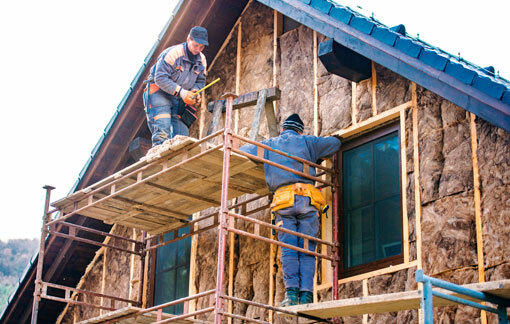 It is necessary for one installer to be on the inside to align the window to the opening and the other to be on the outside to fasten the window in position through the flange around the perimeter of the window or door frame. Installers are often perched precariously on ladders or leaning through openings to accomplish this. Scaffolding is not always available. The process can be hazardous. How does the ‘Andy Clip’ work? 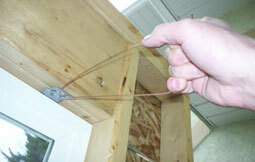 The ‘Andy Clip’ is held in place under its own tension to the flange of a PVC window or door frame, with tabs projecting inside the building. This allows installation without making holes in the flange itself. This eliminates any damage to the window frame or any racking inhibiting the functionality of a window or door, also minimizing potential damage to the glass. Using the ‘Andy Clip’ makes the installation of a window possible from inside any building enabling one installer to fit any window that installer can handle into position single handedly. The ‘Andy Clip’ can be used all around the frame. Importantly, the bottom of a window or door can be secured without compromising the integrity of any damp, weather or water proofing membrane already applied to the opening. 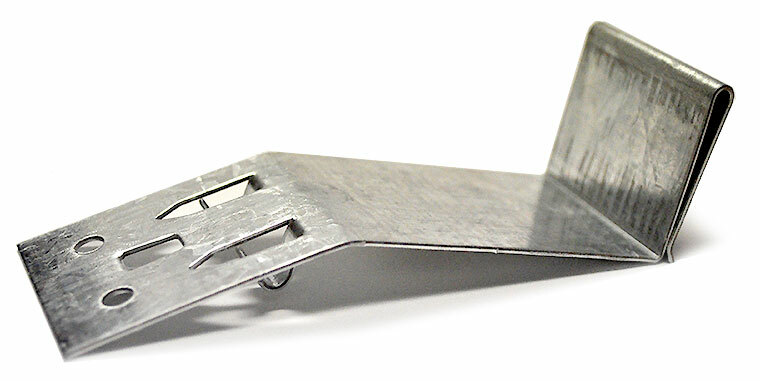 The ‘Andy Clip’ not only allows for contraction and expansion of materials but should also conform to any manufacturer’s warranty or guarantee. This ultimately allows contractors to get to the ‘Lock Up’ stage quickly and safely, to say nothing of the cost efficiency this represents.